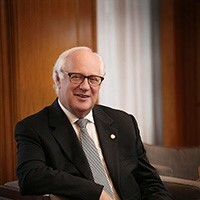 The Chairman and President of Swiss-Belhotel International is Gavin M Faull. Gavin has over 35 years experience in hotel management and operations under his belt. He started his career as an accountant for The Peninsula Group, Hong Kong. In 1983, he was made chief executive of Kingsgate International Corporate Limited, a publicly listed company that owned several hotels in Australia and New Zealand. He worked for a start-up hotel management company Swiss-Belhotel group in 1990, before taking over the ownership of the company in 1999. Apart from his illustrious career in the hospitality industry, he also runs a number of agricultural companies in his native New Zealand. Gavin holds a Bachelor Degree in Accounting from Victoria University of Wellington.